Hello Fabricworms! We are never on short supply of adorable prints for the little ones. 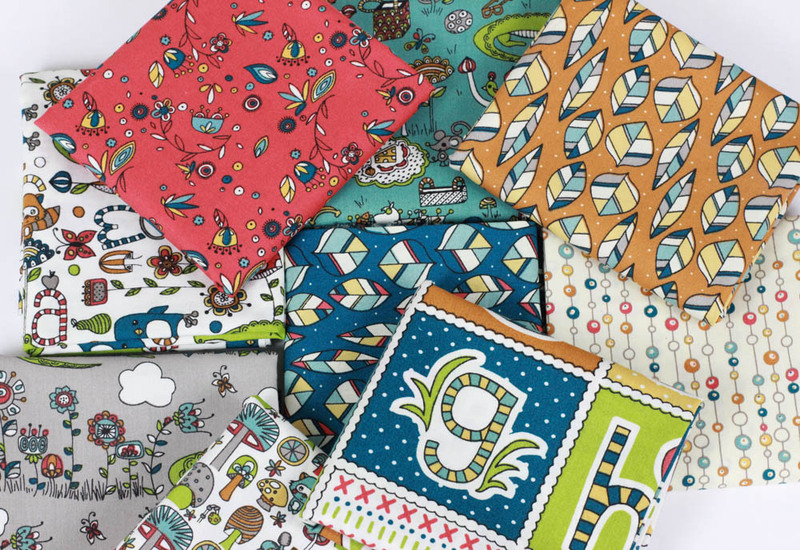 Rebekah Ginda's latest collection is a great gender neutral assortment of prints and colors; perfect for your next project! 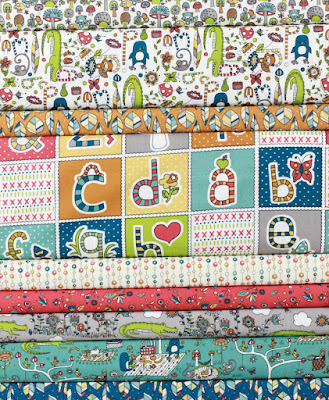 This week we will be giving away two free yards of Picnic Whimsy in Poplin! Winner chooses two yards of the fabric of their choice. Enter to win! 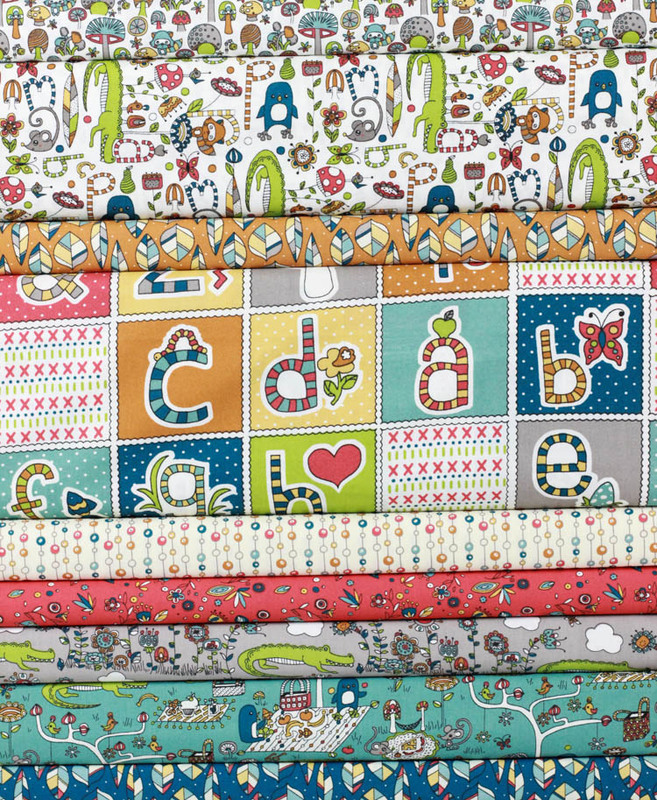 Not only does this collection include such cute prints such as the alphabet, feathers, and adorable crocodiles and penguins, it's also organic! Hoorah! This giveaway ends on Sunday 6/14 @ 12 am PST. The winner will be contacted shortly after by email. The winner will be chosen randomly by Gleam. Love the Alphabet prints - cute for library totes. crazy about those feathers, and alligators! Ahh too cute! I'd make a pinafore for my daughter and fav color fleece is grey. I love that it is neutral. Thank you so much for the giveaway. I would make a cute baby quilt. My favorite color is pale green. HI, LOVE ANY BLUE'S +I'D LOVE TO MAKE A SNUGGLY BLANKET! I'd make a blanket! I love any blues or greens. So very sweet and this fabric would be perfect for a quilt!!! cute baby fabrics. Will make wonderful baby quilts. Cute fabrics for baby quilt. I'm thinking black - just because. Favorite color fleece is blue. Your fabric is great. I would make a dress for my Granddaughter! How adorable is this line! Very refreshing!! Thanks for the giveaway. I would use the fabric to make summer clothing for my sweet granddaughter. Lovely fabric & wonderful give away! Thanks! I would love to make a sweet blanket or dress for my baby girl! These happy prints would make me happy! So cute! 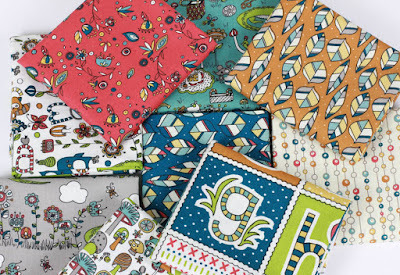 These fabrics would make such wonderful kids' quilts! I'd love to make a baby quilt in red and white fleece. 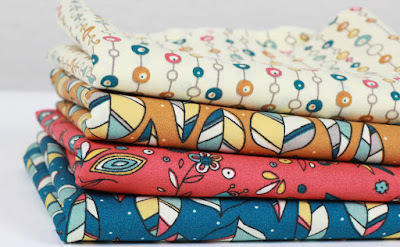 I would be happy to use some Picnic Whimsy fabric in the 3 baby quilts I need to make by September this year! With 2 yards of purple organic fleece, I would make a cozy baby blanket! 2 Yards of organic fleece?? Oh my, I would make a few winter tops for my daughter, myself and also bonnets and mittens; So cozy! I love her fabric, make a skirt for girls. My favorite fleece color is blue--any shade! It would make a wonderful kid's quilt! My favorite color of organic fleece is sky, and I would make pjs for littles. I love the fabrics. Cute for baby quilts! Such a cute assortment, would love to work with it! Thanks for the give away! My favorite color is blue. I would make a quillow. make me some winter P. J. 2 yards? I would make a cozy pair of pj's and back a tag blanket with the rest! I really like the feathers and alphabet prints! I would make some comfy matching PJs for my toddler and I - in a nice green! A pillow, with GREEN fabric! Love the teal and blue! And I'm all about some quilts these days! I'd make pj's for my little boy! I'd make a quilt for World of Charity Stitching. Oooh I could make so may gorgeous sun hats for my kids with these. I would make pajamas. Thanks! These are adorable! Thanks for the giveaway! these fabrics are adorable, my grand daughter age 5 asked me to make a blanket for her... so nice of you to have a giveaway. I am working on a gift for a soon to be one year old and another that just turned 2. These would be perfect! Absolutely loving this print! There are countless ideas of what I could create with it, running through my mind at this very moment! Eek! I am not sure. i have never sewn with fleece. Maybe a pillow or two or three? I'd use it for a toddler quilt backing. I would make bags, totes, and aprons for the family. I like to use fleece for hats and scarves, and to back quilts. I'd choose Sky. I'm thinking now how nice would be to line a scarf - our winters are brutal....and ear-flaps...and.... Snuggly and warm! I would make a two sided lap blanket. So cute! Favorite colors for fleece: turquoise and yellow; I would make a sweet wrap/jacket for my little girl. I would make a throw for "by the fireplace " lounging ! baby blanket would be nice with these fabrics.